We tend to understand grief as a predictable five-stage process of denial, anger, bargaining, depression, and acceptance. But in The Other Side of Sadness, George Bonanno shows that our conventional model discounts our capacity for resilience. In fact, he reveals that we are already hardwired to deal with our losses efficiently—not by graduating through static phases. Weaving in explorations of mourning rituals and the universal experiences of the death of a parent or child, Bonanno examines how our inborn emotions—anger and denial, but also relief and joy—help us deal effectively with loss. And grieving goes beyond mere sadness: it can deepen interpersonal connections and often involves positive experiences. In the end, mourning is not predictable, but incredibly sophisticated. 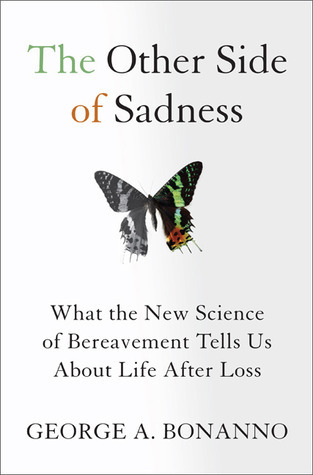 Combining personal anecdotes and original research, The Other Side of Sadness is a must-read for those going through the death of a loved one, mental health professionals, and readers interested in neuroscience and positive psychology.